SaaS retail app platform Shopgate has added Apple TV apps to its portfolio of shopping channels that already include iPhone, iPad and Android apps. The update enables retailers to build apps designed for mobile devices as well as apps for the Apple TV app store. Since there aren’t many apps available yet in the Apple TV app store, the competition is minimal which means that there is a lot of opportunity for retailers. The official debut of Shopgate’s Apple TV apps will be on March 12 during SXSW Interactive. It is important to note that Apple TV apps are included in Shopgate’s Enterprise plan, which is designed for high-volume retailers looking to provide a rich, multi-channel e-commerce experience. The company will feature its customer Gameday Merchandising (a sports and event merchandising company) for the demo during its launch. 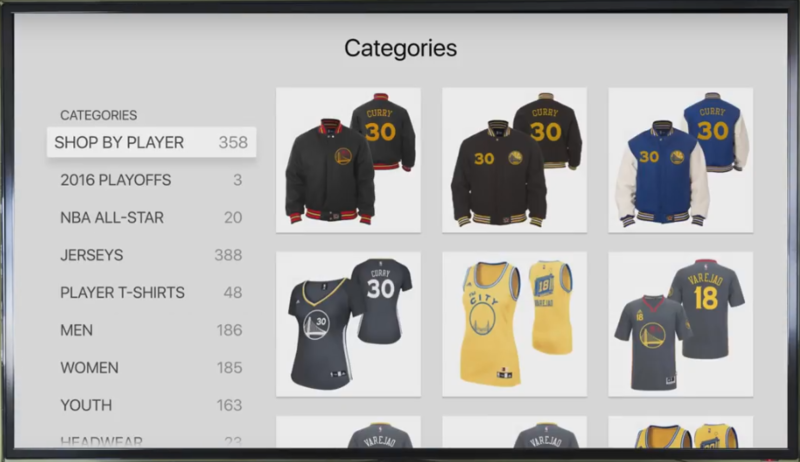 The update enables retailers to take advantage of Apple's large format interface, which is customizable with drag-and-drop widgets. Plus, Shopgate’s simplified the management of content by connecting a merchant’s e-commerce store to their Shopgate account and automatically syncing products and orders. What’s more, Shopgate’s cart allows customers to complete their purchase in the Apple TV app or jump between devices without starting over.